I would have to call this a must read for all Christians! It really opens your eyes to ideas and a view of scripture that is not mentioned from many pulpits. Well worth your time. Before listening to this book I was approached by someone I respect in the faith who "feared" I might be in the Lordship salvation camp. At the time, I had no idea what he meant. That night I started to do some research on both sides of the argument. Most of the more modern writings on the Lordship Salvation argument mentioned this book, so I started listening to it. This book is accurate and gives detailed explanation and expository teaching based on the gospels. What I really liked about this book is that the author not only provided his own view, but he also repeatedly throughout the entire book, quoted opinions and strong arguments from the other side. He then of course explained in his words why he didn't think those views were valid. This is definitely worth a listen. Although now that I have heard it, it is one of those books that I think I might want to own a physical copy so I can easily recall certain pages or arguments. 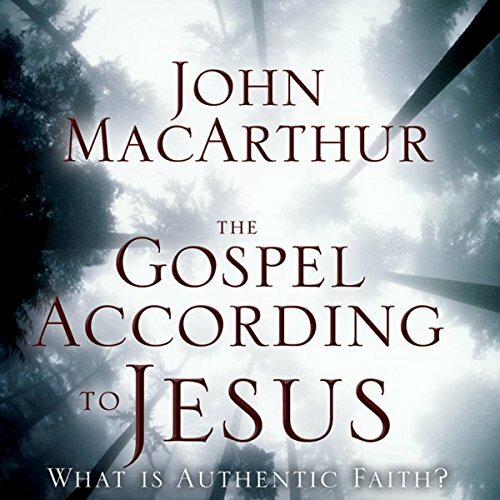 John MacArthur hits tough issues of doctrine head on with clarity and poise. Sadly, the narrator does said poise an injustice by mispronouncing many key words as though unfamiliar with the subject matter. While it is not severe enough to recommend passing over this title, it might be worthy of consideration that the production company record a revised version with a more competent narrator. 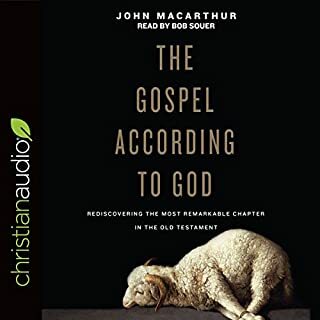 Where does The Gospel According to Jesus rank among all the audiobooks you’ve listened to so far? Listening to this book made the time fly by - I just kept talking back to it. "Thank you", "Yes! ", and, "So, THAT's what that means!" were heard from me throughout my listening. I found myself wanting to go to my Bible to highlight a passage and make notes, so beware if you're listening in the car! The only thing that could have made this better is if John MacArthur had taken the time to record the reading himself. The reader at times had difficulty expressing the author's intent and enthusiasm, and even mispronounced a couple of words, but it did not detract enough from the presentation for me to reduce a star. Excellent book! I'll read it again and again! I suggest you do as well. Brilliant! Will read this book again. This book is very eye opening as to the true gospel of Jesus Christ. I have been challenged to greater commitment to the true gospel call! I love this book!and I have learn a lot from it. Truly, truly, I am looking forward to reading this book again, I learn a lot from it. worth it. it just teaches what the bible teaches in a clear strait forward and unignorable way. 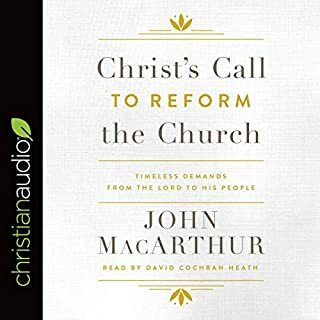 This audiobook is focusing on the matter of the Lordship of Christ being preeminent when one seeks salvation. Rev. 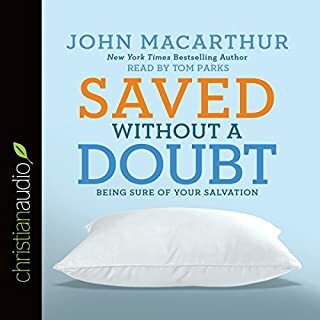 MacArthur points out that one cannot get saved and make Jesus Lord later, He is Lord over one's life when one comes for salvation, or it is an indication that one is not turning one's life over to Him. Such a position would mean that one is not then translated out of the Kingdom of Darkness and into the Kingdom of Christ as one would be coming with reservations and not really to repent and convert. Instead, one would be seeking something with an ulterior motive, a somewhat deceptive action of seeking something without a change, without being convinced that Christ is the Way, the Truth and The Life, but just a way to avoid judgment and punishment for sin. He points out that Jesus requires that one be translated out of the Kingdom of Darkness and into His Kingdom, or one is not save. 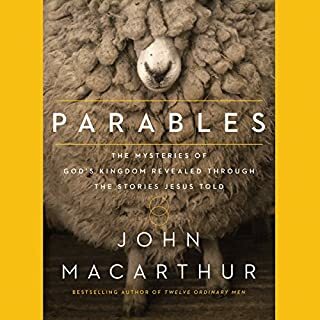 MacArthur does an excellent job in this book of showing how the gospel as preached in the New Testament calls us to repentance and faith in Christ. 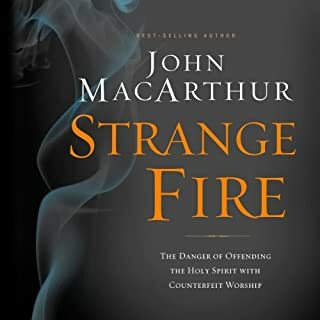 'Free Grace' critics who have said that Macarthur's notion of 'Lordship Salvation' smuggles in the concept of works, and thereby pollutes salvation by pure grace, miss the point that repentance and faith are both gifts from God, and are all of His grace from beginning to end. 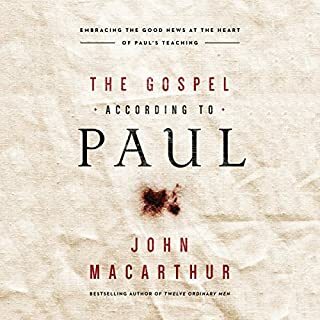 They also overlook the fact that both Jesus and the apostles taught that authentic faith is always evidenced by a changed life, as MacArthur also shows here. The author also takes us on a tour of church history, and from the patristic era and early church fathers, through to the Reformers and the Puritans, shows how there is nothing new about so-called 'Lordship Salvation'. It is simply what faithful followers of Christ have always proclaimed as the gospel. In an age of increasingly 'easy-believism', I highly recommend this book.